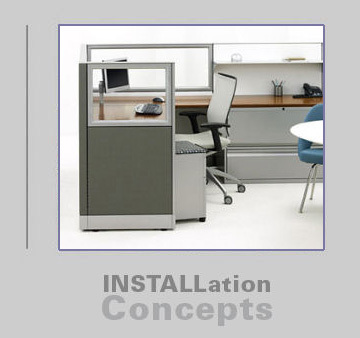 At INSTALLation Concepts, strong relationships are at the core of our success. We have forged strong partnerships with companies whose quest for excellence matches our own. Our definition of quality extends beyond the products we install. Throughout the company, our personnel are trained to ask our customers the right questions and offer the best possible solutions. Our complete understanding of the process from receiving, delivering, and installation, is based on years of industry knowledge. Our installation team brings their vast experience to each and every assignment. Our management team uses an established process to manage the complexities of large projects. It should be noted that our process is more organized and sophisticated than most in the industry. The time spent preparing a project ensures the smooth, successful completion of your job. We’re sure we’ll meet or exceed your expectations. Call one of our friendly representatives today!